Ms Yeonhee Hah is Head of the Division of Radiological Protection and Human Aspects of Nuclear Safety (RP-HANS) of the NEA. Ms Hah took up her duties on 7 September 2015. The Division of Radiological Protection and Human Aspects of Nuclear Safety focuses on radiological protection principles, regulation and application, and on the human aspects of nuclear safety in such areas as safety culture, human and organisational factors, personnel training policies and practices, safety-related public communication and stakeholder engagement. This division gives technical and administrative support to the Committee on Radiological Protection and Public Health (CRPPH), facilitating the execution of the programme of work, and assists NEA safety-related committees, including the Committee on Nuclear Regulatory Activities (CNRA), the Committee on the Safety of Nuclear Installations (CSNI) and the Radioactive Waste Management Committee (RWMC) in the areas of responsibility of the respective divisions. 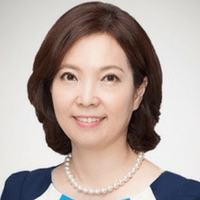 Ms Hah is an expert in international co-operation with 25 years’ experience working for the Korea Institute of Nuclear Safety (KINS). She has extensive expertise in areas such as international co-operation, public communication, education and training, regulatory policy and development, and interaction with various stakeholders. From 2010 to April 2014, Ms Hah chaired the NEA’s CNRA Working Group on Public Communication of Nuclear Regulatory Organisations. Ms Hah, a Korean national, holds a Master’s degree in Communications from Ewha Women’s University.